The Resistance at Nenjiang Bridge was a small battle fought between forces of the Chinese National Revolutionary Army against the Imperial Japanese Army and collaborationist forces, after the Mukden Incident during the Invasion of Manchuria at the start of the Second Sino-Japanese War. It marked the start of the Jiangqiao Campaign. 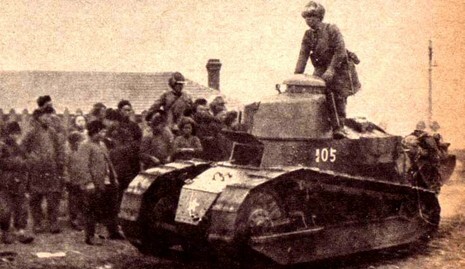 In November 1931, the acting governor of Heilongjiang province General Ma Zhanshan chose to disobey the Kuomintang government's ban on further resistance to the Japanese invasion and attempted to prevent Japanese forces from crossing into Heilongjiang province by defending a strategic railway bridge across the Nen River near Jiangqiao. This bridge had been dynamited earlier by Ma's forces during the fighting against the pro-Japanese collaborationist forces of General Chang Hai-Peng. A repair crew, guarded by 800 Japanese soldiers, went to work on 4 November 1931. 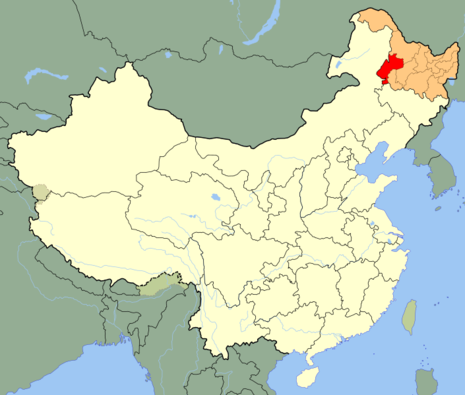 Nearby were 2,500 Chinese troops under General Ma Zhanshan. Each side charged the other with opening fire without provocation. The Japanese claimed the Chinese opened fire using rifles and machine guns late in the day during a fog when Japanese troops started across the span. The Japanese retaliated and the skirmish continued for over three hours. Only 15 Japanese were reported killed and 120 Chinese, as the Japanese advanced and drove General Ma's remaining troops off toward Qiqihar. Later General Ma Zhanshan returned to counterattack with a much larger force. Although dislodging the Japanese from their advance positions, he was unable to recapture the bridge, which the Japanese continued to repair. Ma was eventually forced to withdraw his troops in the face of Japanese tanks and artillery. With the repair of the Nen River Bridge as the pretext, the Japanese sent a repair party in early November under the protection of Japanese troops. Fighting erupted between the Japanese forces and troops loyal to the acting governor of Heilongjiang province General Ma Zhanshan, who chose to disobey the Kuomintang government's ban on further resistance to the Japanese invasion.